How to Ship Framed Art and Antique Mirrors? Be it a contemporary painting, a vintage print, or an antique mirror, if you do not know how to ship framed art safely and securely, you should hire an experienced art shipper for this job. Otherwise, you can get your artwork in pieces. At Fine Art Shippers, we have more than two decades of experience in handling and shipping framed art and antique mirrors of any size. Our services are chosen by many art business professionals, including premier auction houses like Shapiro Auctions and Leslie Hindman Auctioneers, international art galleries like Art d’Aurelle and Galleria ZERO, reputable antique dealers like Ashville Fine Arts & Antiques, and prominent contemporary artists like Henry Richardson and Tigran Tsitoghdzyan. We also work with private collectors and individuals who do not know how to ship framed art and need professional help from reliable art shippers. For example, not so long ago, our team was entrusted to ship a heavy 250 lb antique mirror in a thick wooden frame. The job was done right, and this amazing masterpiece arrived at the destination in its perfect condition. So how to ship framed art and antique mirrors like that? 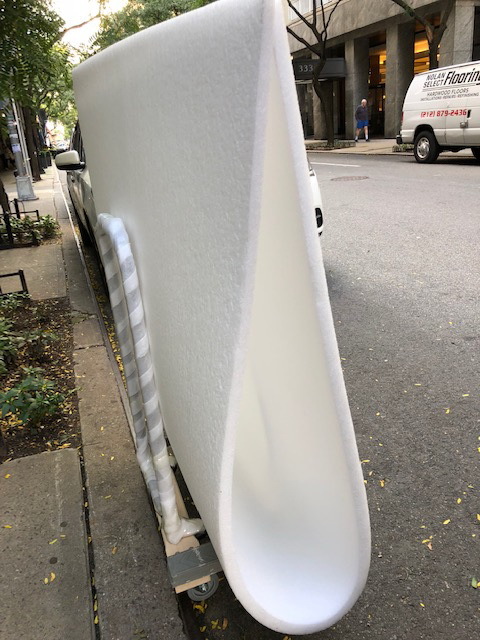 It is needless to say that proper packing is the essential step of the art transportation process. There are many different art packaging methods and techniques, but when it comes to shipping framed art, there are three major things to consider. 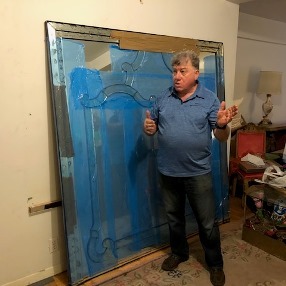 First of all, it is extremely important to use special blue tape on the glass to prevent it from being broken during the move. This applies to all artworks framed with glass and antique mirrors of any size. 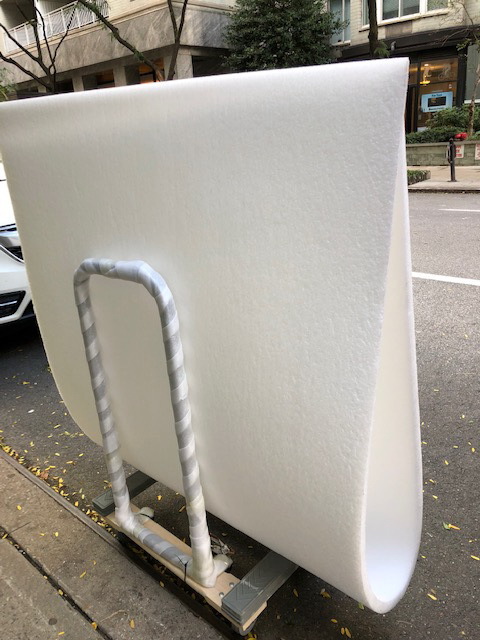 Secondly, it is important to use only high-quality wrapping and cushioning materials able to protect the transported item in transit. These may vary from bubble wrap to archival wrapping depending on what exactly you are shipping. Finally, any framed artwork or antique mirror should be crated in a custom built wooden crate. At Fine Art Shippers, we offer a full range of fine art crating services to meet any need. 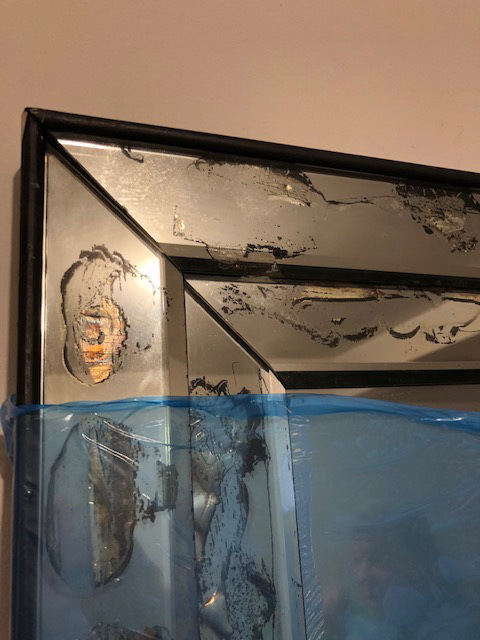 In other words, if you do not know how to ship framed art and antique mirrors safely and securely, it is better to entrust this responsible job to professionals. Moreover, all services that we offer at Fine Art Shippers are available at very competitive prices so that you are sure to stay within your budget.